This month, AFF is kicking off the spring 2019 term of the Writing Fellows Program. With a total of 35 students, it’s our biggest class to date! Below, meet the 15 fellows who will make up the DC-based section of this spring’s class. 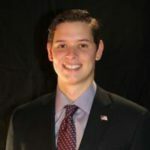 A military brat, Christian grew up in West Point, New York, and earned a bachelor’s degree from Messiah College with a double major in philosophy and economics. 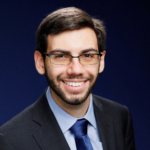 He currently is a policy analyst with Reason Foundation. Christian’s work has been featured in multiple publications such as the Washington Examiner and The Hill. He also is a singer/songwriter and a die-hard fan of The Office. 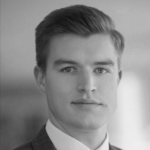 Trevor Carlsen is the external affairs manager at Stanford University’s Hoover Institution. As external affairs manager, Trevor is responsible for Hoover’s relationships with D.Carea policy organizations and the federal government. Prior to joining the Hoover Institution, Trevor worked as assistant director of outreach at the Mercatus Center. He holds a bachelor’s degree in political science from the University of San Diego and a Master of Public Policy from George Mason University. Skip Estes is a legislative analyst with the Center for State Fiscal Reform at the American Legislative Exchange Council (ALEC). During his undergraduate and graduate education at The College of William & Mary in Virginia, Skip was president of College Libertarians and debated political philosophy with conservative, progressive, and socialist political clubs. Through his Masters of Public Policy coursework, Skip authored an award-winning thesis comparing effects of marijuana taxation on state revenues in Alaska, Colorado, Oregon, and Washington. John Dale Grover is an assistant managing editor at The National Interest. He is also a fellow at Defense Priorities and a writer for Young Voices. In addition, he is a Charles Koch Institute media and journalism fellow. His work has appeared in Real Clear Defense, Real Clear World, The American Conservative, and Fox News. He is originally from San Antonio, Texas. 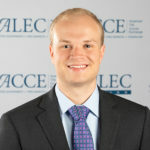 Alexander C. R. Hammond is a research associate at the Cato Institute’s Center for Global Liberty and Prosperity. He is a senior fellow at African Liberty, he is Young Voices contributor and also a Koch associate. He frequently writes about economic freedom, global well-being, and African development. A skeptic of disagreement and quick with a simile, Gavin is a peacemaker at heart. He has reported the news for The Daily Caller News Foundation, written editorials for the Washington Examiner, and participated in the management of The Libertarian Republic, but he would most like to use his talents to mend our divided national discourse. 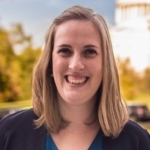 Juliana Heerschap worked on Capitol Hill for over eight years working for three different members of Congress. Her time on the Hill included serving as legislative director and later communications director for two prominent House Freedom Caucus members. Currently she serves as policy director for a nonprofit grassroots advocacy organization specializing in veterans, defense, and foreign policy. Betsy Pearson is a communications and staff assistant at the Independent Women’s Forum. 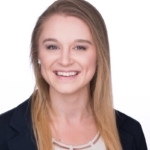 She is the author of the IWF weekly column, “Millennial Monday.” She is a graduate from the University of Iowa, double majoring in Public Policy and Communications. 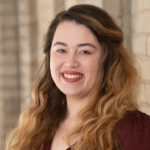 Betsy received a writing certificate from the renowned Iowa Writer’s Workshop, which has led her to be published with The Libertarian Republic and intern with Atlas Network, writing news updates. She spent her undergraduate career as a student activist with Young Americans for Liberty, fighting for free speech on campus. Betsy has completed the Charles Koch Institute’s Internship Program and the Fellowship Program. She is a part of the State Policy Network, Generation Liberty Fellows Class of 2018. 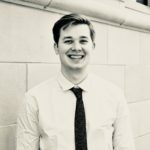 Daniel Karns serves as student programs specialist at the Institute for Humane Studies and is a graduate of Baylor University. 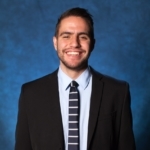 While at Baylor, Daniel piloted the Free Enterprise Scholars Program at the Dr. Pepper Museum and Free Enterprise Institute and also had the privilege of serving in the Baylor Ambassadors Program. Daniel’s favorite authors include F.A. Hayek, Edmund Burke, and C.S. Lewis. MacKenzie Anne Morales was born and raised in Nashville, Tennessee. 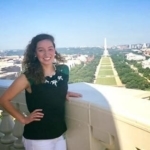 MacKenzie took a leap of faith and moved to Washington, DC, during her third and final year of undergraduate studies at the University of Tennessee, Knoxville (2016).. As a Kappa Delta, MacKenzie volunteered with Habitat for Humanity, mentored Girl Scouts, and contributed to many other philanthropic organizations. She began her political career interning for Republican Congressman, Phil Roe (TN-01) and Congressman Scott DesJarlais (TN-04). After interning, MacKenzie worked for Congressman Tom Garrett as Press Secretary (VA-05) and is now scheduling for Congressman Lance Gooden (TX-05). MacKenzie is known for her adaptability, hard work ethic, and vivacious personality. MacKenzie hopes to continue learning about public policy in the U.S. and around the world. Angela Morabito is a political strategist and writer in Washington, DC. She contributes to the Washington Examiner and consults think tanks and nonprofits on how to frame their ideas for maximum impact. Angela’s writes about politics, culture, media, and ethics. She holds both a bachelor’s and master’s degree from Georgetown University. Lydia Pitea is the marketing and events manager at DonorsTrust. Her primary responsibilities include coordinating events for the Trust, digital marketing, and assisting with content creation and donor communications. Lydia joined DonorsTrust in 2016 as a participant in the Koch Associate Program. Previously, she worked for PSEG, the major utility company of New Jersey, with the Project Public Affairs team and the Customer Technologies team. Lydia is a graduate of Montclair State University in New Jersey, where she received a bachelor’s degree in business administration with a concentration in marketing and a minor in political science. 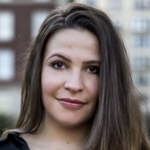 Isabella Rolz is a bilingual journalist based in Washington DC, writing about Latinos in the US, immigration and Latin America. Her work has been published in The Washington Post, The Washington Diplomat, El Tiempo Latino, Prensa Libre and various blogs. In May 2018, she graduated from Columbia University’s Graduate School of Journalism, where she was a Maria Moors Cabot Scholarship recipient. She holds a bachelor’s degreein international affairs from Universidad Francisco Marroquín in Guatemala City, Guatemala. Isabella was born and raised in Guatemala, but has lived in New York City, Paris, and Liverpool, UK. Nichole A. Russell’s research interests include political communication, media studies and conversation analysis. Her work on journalistic questioning and political equivocation has appeared in The Washington Post and The Conversation. 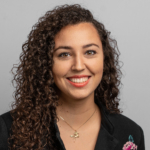 Nichole’s current research looks to dissect the pressures of aggressive journalistic questioning on political leader responses in press conferences. She is currently a communications associate for The Fund for American Studies (TFAS). 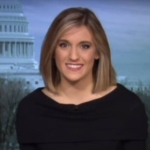 A proud alumna of TFAS programs, Nichole attended the Institute on Political Journalism in 2013 in Washington, DC, and the American Institute on Political and Economic Systems in 2014 in Prague, Czech Republic. She holds degrees in communication and political science. Nichole graduated from College of the Ozarks in 2015 with a bachelor’s degree, double majoring in communication arts: journalism and English. She received a master’s degree in political science from the University of Arkansas in 2018. 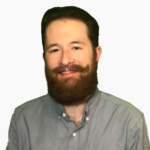 Zachary Yost is a political theory PhD student at the Catholic University of America. 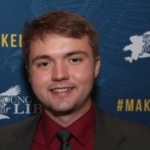 He is also a contributor with Young Voices and has been published in The American Conservative, The Washington Examiner, The Federalist, and Power and Market, among other places.